What is it about these magnetic toys that make them so irresistible to children? I remember as a young child being fascinated by the almost “magical powers” of magnets. Chances are that you yourself may have fond memories of playing with magnets as a child if you’re reading this article. 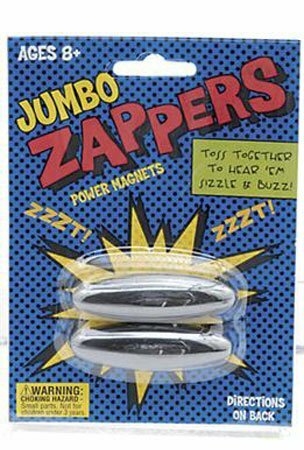 So I did some investigation into some of the more popular magnetic toys out there and I’m going to list a few of my favorite ones here. This has to be my favorite of all the magnetic toys, as they have really captured the imagination of many children all over the world. It’s just one of those toys that children in general never seem to get tired of. 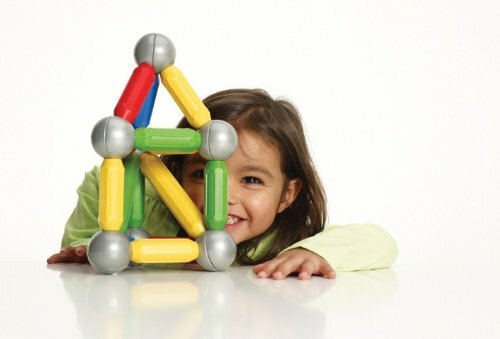 Magnatiles are geometric plastic shapes with magnets around the edges, that make them stick together and allows them to be stacked into any kind of structure imaginable. If a part of the structure collapses, it’s easily fixed. And adding to existing structures is also very easy, and the different triangles combined with some squares can build an endless number of shapes and structures. They are also safe for children over 3 years, and is made of BPA-free plastic. 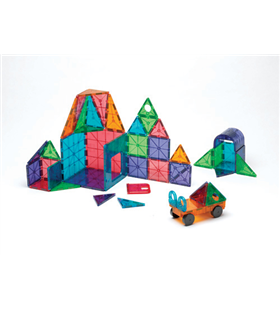 The most popular set is the magna tiles 100 piece set, that provides enough pieces to build larger structures. But not even 100 seem to be enough. The 100 piece set comes mostly in the clear/transparent color, and something interesting that I’ve seen people do, is buy the solid color set and mix it with the clear color one. That seems to be the way to go eventually, as it just really ads to the fun, and opens up more possibilities. My kids and I love them so much. You probably recognize this toy, as it’s been a hit all over the world. I don’t know of one friend with kids that don’t have one of these in their house. 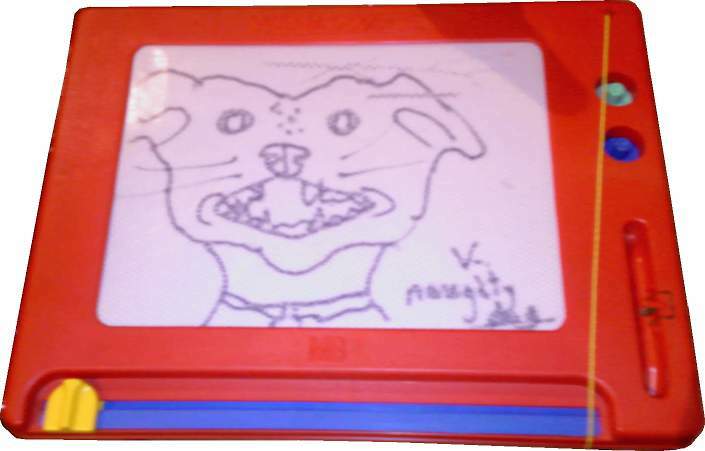 So this is a firm second favorite It’s basically a square plastic drawing pad that works with magnetism to make drawings that can be quickly erased by sliding an eraser bar. The stylus is also magnetic, and draws a dark magnetic powder of some kind through a thick white opaque liquid to the surface of the pad to create dark lines. The eraser is also a magnet, that draws the powder away from the pad surface to make the display white again. This delightful toy is also a hit with many people, and it is basically fridge magnets on steroids. The toy consists of various magnetic parts that are designed to funnel marbles along an interesting track downwards towards a little bucket that catches the marble. What makes this so interesting, is the 11 different parts included in the toy pack. The marble moves mainly along rails, but can be made to bounce of a Ferris wheel or bouncy “Tornado” ride, and also what they call serpentine chutes that catches the marble and then slowly lowers it into the next rail, and then returns automatically back to its original position. It’s almost like one of those crazy automatic coffee machine inventions one sometimes sees in cartoons where a whole elaborate interconnected chain of events are kicked off when a small lever is pulled, just in order to trigger the button on the coffee machine to start making coffee (Dexter’s Laboratory anyone?) I really love this one, and so, it seems, everyone that bought one. I see there are now extensions one can buy for this that can add a launcher to the mix as well as pieces to funnel the marbles around the fridge corners. That just sounds like real awesome fun. Only thing to note is that it is only for ages 7 and up, due to the choking hazard posed by the marbles. This, like Magnatiles, is a toy with which to build shapes and small structures. It consists of very simple parts, which should be safe for toddlers. The parts are basically short, thick bars magnetized at then ends that connect to magnetic one or more plastic balls. The magnetism is apparently quite strong, and these toys can, according to its creators, carry up to 60 times their own weight. People also generally seem to love these, especially as toys for very small kids, but I’m sure older kids will enjoy them just as much. This one also used to be one of my favorites, but they have been discontinued due to serious risk of inhalation death, and nasty intestinal damage caused by swallowing magnets. So now they’re not one of my favorites anymore, but definitely worth mentioning as possibly one of the coolest magnetic toys that used to be out there. 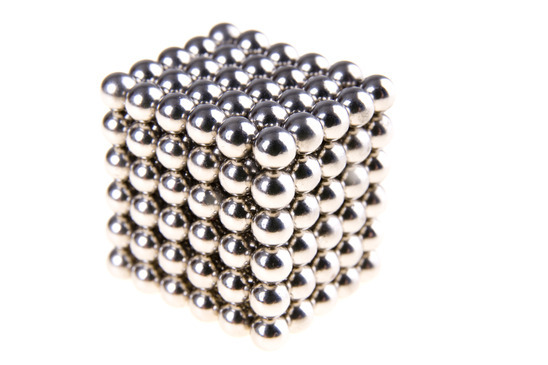 They are basically an entire set of magnetized balls that form cubic shapes when put together. Playing with these almost makes one feel like you’re assembling molecules from individual atoms, and it’s a lot of fun, but alas, I don’t think one can legally purchase these anymore. These are also very popular with children, and little boys in particular. They are basically two very strong magnets that are thrown into the air, which then start to spin, while making a strange clapping, whizzing sound. They are sometimes called rattlesnake eggs because of the sound. So there you have it. My top 5 magnetic toys. The Magna Tiles 100 Piece Set. Is It Suitable For Your Kids?